If you really want to complete this heroic look then you'll probably need to add a few feet to your height! Also, you may want to begin sprouting hair out of just about everywhere on your body. 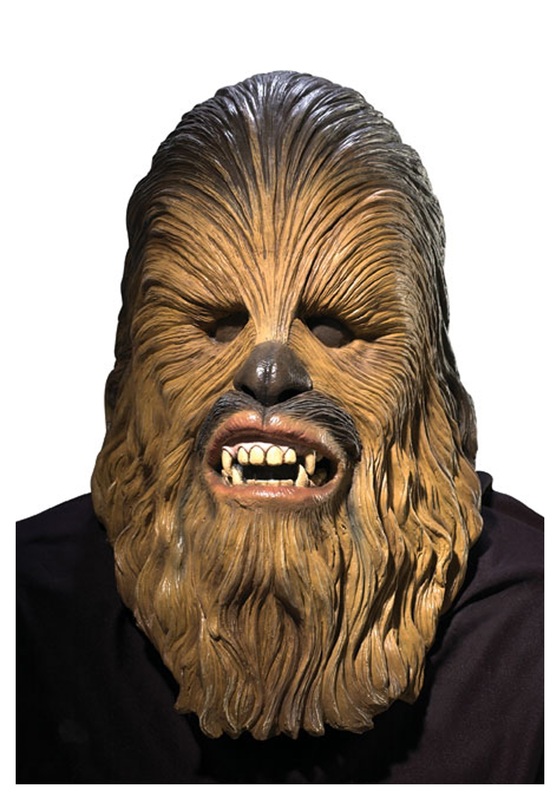 Of course, you could also just shop around a bit more for an authentic Chewy body-suit. Once you find the perfect one, toss on this Chewbacca Mask and you'll be ready to take on the responsibilities as second in command aboard the Millennium Falcon or even just help co-pilot your buddies Honda. Either way, you'll be the ultimate sidekick when you start your Chewy Costume with this deluxe latex mask!